You’re planning a home renovation, and your budget is at the top of your mind. You’ve considered different options for the kitchen flooring or your new fantastic entryway, but have you taken a look at Crema Marfil marble? Your first thought may be that the price will be out of your range and you want to spare yourself the heartache, but you may be surprised at just how cost-effective this finishing surface is. In fact, here are the top ten reasons that Crema Marfil is one of the most affordable choices you can make. 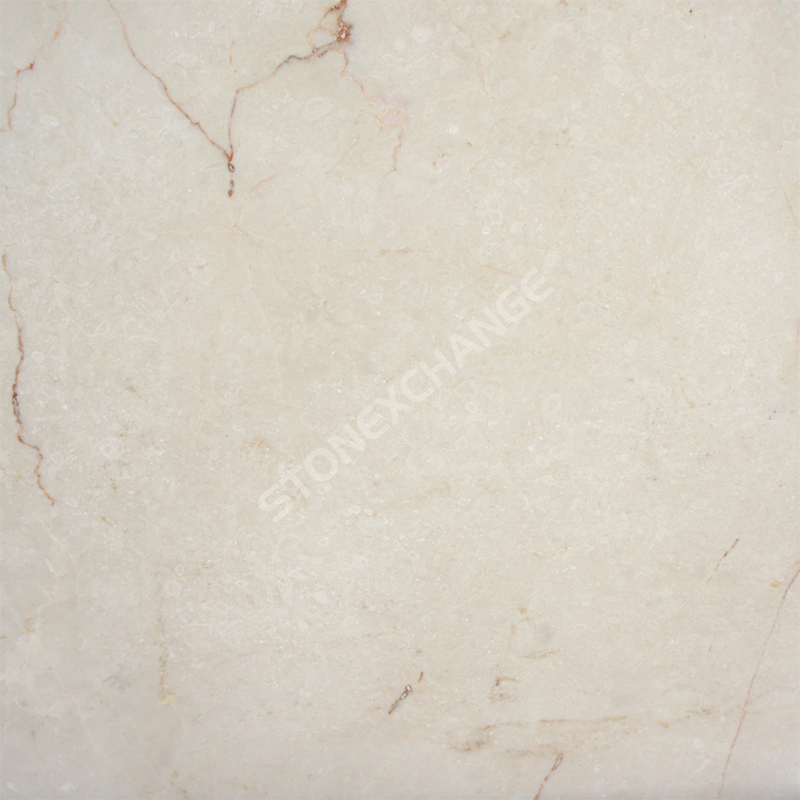 Forged by nature through intense heat and incredible pressure, marble has to be quarried out of the ground. Carefully extracted and then cut into usable shapes, it’s manufactured and finished for durability. In fact, marble has been in use throughout history. Used in ancient Egypt and Mesopatomia, some of the ancient structures built with marble are still standing today. It takes a little care and respect to avoid scratches and cracks, but it can last as long as your house will. While you’ll spend a little more to buy it today, you won’t have to spend money to replace it in a decade like you will with carpet, and you won’t have to pay for refinishing services in two decades like you will with wood flooring. Marble is surprisingly easy to care for. All you need is a broom and a damp mop to keep the surface looking incredible. People sometimes worry that the light colors in Crema Marfil will show every speck of dust and dirt, but the ease of cleaning means that making it shine again only takes a few seconds. You won’t have to spend money on costly vacuum cleaners, steam machines or chemicals for stains. Perhaps the best part is that cleaning the marble only takes a few minutes, so you also won’t have to waste your time trying to scrub it. Almost every kind of flooring you choose will need a little annual maintenance. Carpets should be professionally cleaned a few times a year and that can run $200 or more to have the whole house done. However, the annual maintenance on Crema Marfil is far more affordable. All you need is a sponge mop and some marble sealer. Nalboor sells marble sealers and protectants that are very affordable and easy to work with. Once the floor is clean, all you have to do is brush the sealer over the surface and allow it to dry. What you don’t use can be sealed up and used the following year. Even if you aren’t focusing on home value at this time, it’s still nice to know that the materials you’re using will help to boost the resale value of your property. Marble is a cost-effective option with a luxurious look. It appeals to a wide range of owners, and most people enjoy the low-maintenance and beautiful look. This can help your home move faster and at a higher price point. While it’s not money in your pocket today, it’s still a benefit that you will eventually reap financial rewards from in the future. Another benefit of marble is that you don’t have to use chemicals to clean it. A simple steam mop will work wonders to shine the floor, or you can just use a damp sponge mop. Unlike carpets that sometimes need chemicals to make them smell nice and linoleum that requires chemicals for effective cleaning, all you really need on marble is a bit of water. Not only will you save money on cleaning supplies, but you also won’t have to worry about any harmful residue placing your pets or family at risk. Despite your best intentions, accidents can happen. When your carpet is damaged, replacing it is costly. If your wood floors are gouged by the careless movement of furniture, you have to either sand down the entire floor or pay a fair amount to have the damaged section replaced. Another great feature of marble is that you can replace just the damaged tile. With a popular color like Crema Marfil, you can rest easy knowing that replacements should be easy to come by even a decade from now. Another option is to simply buy a few extra tiles when you place your initial order so that you’ll have perfectly matched replacements on hand when they’re needed. One problem with carpeting is that you eventually get tired of the look and want something different. Many ceramic tiles can grow boring over time. Natural marble, however, has an appeal that doesn’t seem to fade. Most people who install marble in their home never grow tired of the look, so there’s no need to replace the marble. If you like to shake things up and change the décor, then you need a neutral material. Crema Marfil features a blend of cream, beige and white shades that work with any décor from contemporary to traditional. You can bring in new furniture without worrying that it will clash. You can change the style without giving a second thought to your flooring, and you can rest easy knowing it will look great. This allows you to spend more of your redecorating budget on furnishings and great accessories because your floors will work with anything. Whether you live in the north or the south, you can also lower your utility bills with marble flooring. It doesn’t hold heat the way carpet does, so it feels cooler under your feet in the warm weather. You may worry that it will feel cold and uncomfortable in the winter, but this isn’t the case. Surprisingly, marble doesn’t become much cooler than hardwood in the winter. You can also use marble over radiant heating systems to enjoy a floor that’s toasty warm even when the weather is frightful. If you’re still worried about the potentially high cost of marble, take a deep breath and remind yourself that there are ways to save. Nalboor offers wholesale pricing to the general public, so you can buy the perfect marble flooring without going broke. We offer a range of finishes, so you can get tumbled marble for safe use in the bathroom or polished marble for that sleek reflective finish on the kitchen backsplash. With the low prices and wide selection available, you can get the perfect marble at prices you’ll appreciate. In many cases, the cost of marble per square foot can be comparable to or even lower than some carpets and most hardwoods. This is an incredible deal for a building material that can last forever and help you save money in so many other ways. When it’s time to invest in new marble for your home, start by visiting the team at Nalboor. We offer a range of tile sizes and finishes, so you can get marble tiles for every area of your home from the front entrance to the backyard living space. With our low prices and selection of colors in addition to Crema Marfil, we’ve become one of the most popular suppliers for natural stone tiles in the Miami area. While we’re happy to provide stones to people in our local area, we can also ship tiles throughout the country, so you can place an order with us even if you live on the West Coast. If your goal is to improve your home, consider the cost-effective features of Crema Marfil, and contact us today through our online form. You may also call us at (305) 501-4548 to speak to one of our professionals from the most affordable marble wholesaler in Florida!